Basically, we make it better!!! It's that simple. 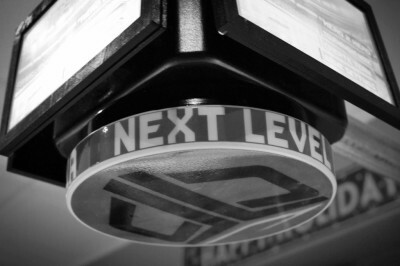 We take your good and bring it to theNEXT LEVEL. We take old tech and marry it to new tech, giving you complete customization and upgradeable software for your old analog games. We also have created products and modifications to bring new life to your favorite game so it never gets old and can truly be one of a kind! Like the old story goes... in a basement! Really, in a basement, a family Christmas tournament was started. It was the best time but the game they were playing just didn't do what they needed. It could be so much better and so the founder of TOFHGYN decided to make it better and here we are ! A company taking your favorite things to theNEXT LEVEL was born!!! Giving the user the power to change and update! Not having to settle with what you first had becuse everything evolves and we want or product to evolve with you! We are currently taking orders for TOFHGYN's theTABLE. 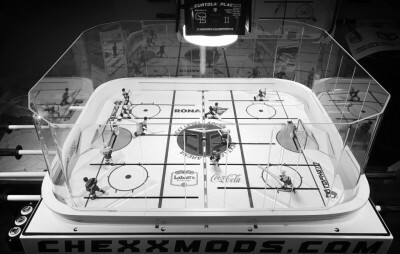 Our very own complete table hockey game. Don't even have a game to MOD? We will just make you the full game !